It is time to wish good luck and bon voyage to the youngest ever scorer of a KHL hat-trick, the man who set a new League record for total points scored by an 18-year-old in a season, Jokerit's top sniper, six-time winner of Rookie of the Week, to add to Forward of the Week and Forward of the Month (October, 2017)... We speak, of course, of Finnish teenage sensation Eeli Tolvanen. Following his team's battling semi-final exit from the playoffs, the 18-year-old scoring phenomenon's contract with Jokerit Helsinki has been terminated by mutual agreement, and on Wednesday, Eeli is due to land in the United States, where he will be asked to sign on the dotted line of a three-year deal with the Nashville Predators. As the likeable youngster prepares to start the NHL chapter of his life story, we at Khl.ru take this opportunity to look back at the impact he made on our League in his stunning debut season. As always, there is a huge pool of young talent fighting for the accolade of finest newbie of the Championship, but Tolvanen has to be the number onecontender. Admittedly, Traktor's Vitaly Kravtsov also springs to mind, but the Chelyabinsk man's season only really burst into life during the playoffs,whereas in 24 weeks of the regular season, Tolvanen was named Rookie of the Week six times, or once every four weeks, including a whirlwind October during which he was Rookie of the Week three times, Forward of the Week, and Rookie of the Month. On the 23rd of August, 2017, Tolvanen played his first ever match in the KHL. He stepped onto the ice in Minsk, where the Helsinki Men were guests of Belarus's finest, Dinamo, and few who winessed the arrival of this teenage phenomenon are likely to forget what followed. Tolvanen struck three goals and even added an assist for good measure. Some ultra-skeptics suggested a fluke, but Eeli was to score many more goals, including a second KHL hat-trick. Some players would be happy if they achieved two trebles over an entire career. 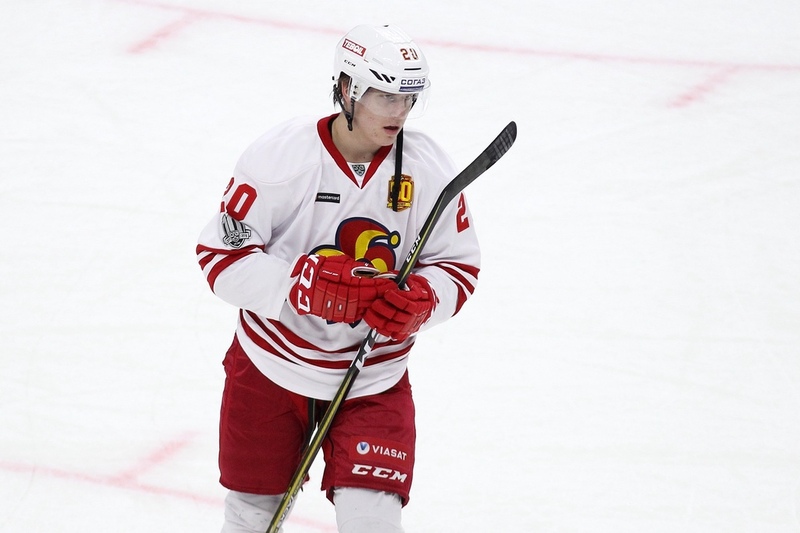 Tolvanen reached his impressive total of 36 points for the regular season after making 49 appearances during the campaign, thus setting a new KHL scoring record for players under the age of nineteen. The previous best was set by Evgeny Kuznetsov, currently in prolific form this season for the Washington Capitals, and who, in his Traktor Chelyabinsk days, scored 32 points in 44 games back in the 2010-11 season. The teenager hit 19 goals in all during the regular season, and while team-mate Niklas Jensen matched him goal-for-goal from August through to February, Tolvanen added six goals in the playoffs to secure the Top Sniper crown for the Helsinki Men. 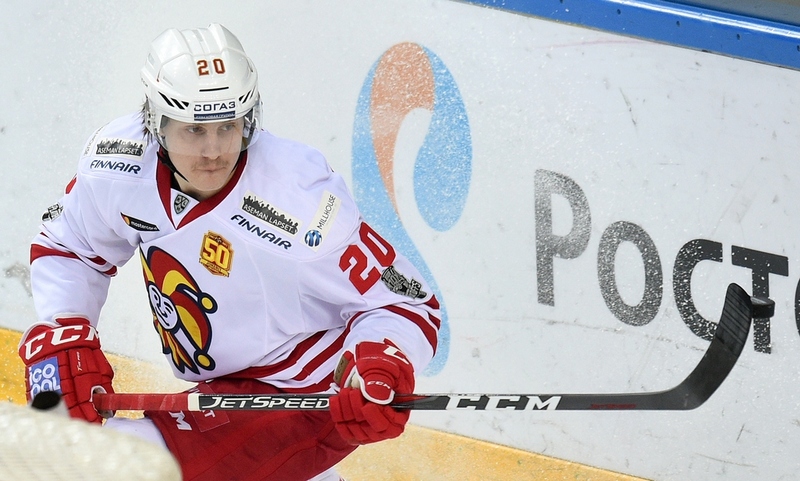 Eeli also boasted the second-highest points total among Jokerit players in the regular season. 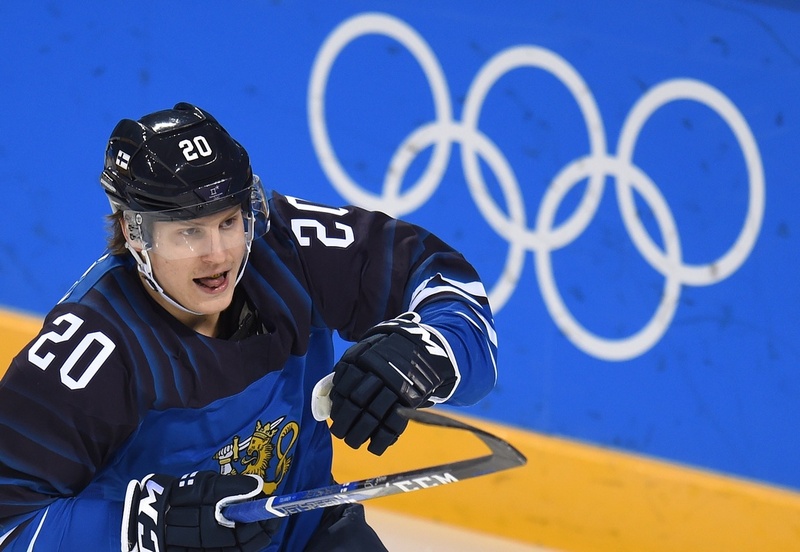 ”If you're good enough, you're old enough.” The old saying could have been created for Eeli, who broke into the Finland national team's senior roster with perfect timing, in this Olympic year. It was already clear that Tolvanen was head and shoulders above his fellow teenagers at the World Juniors, but to make an impact at the Olympics is a huge leap in class. Nonetheless, Eeli was equal to the task. In the end, South Korea was a bit of a disappointment to the Finns, but Tolvanen's 9 (3+6) points in five games more than justified his inclusion..